We decided that today was the day to vist Marseilles about 1 hour south of Bras. We press ganged Helénè into going with us and headed off. Alain escorted us to Rouges, the nearby village where Helénè lives with her boyfriend. With Helénè on board we set off. 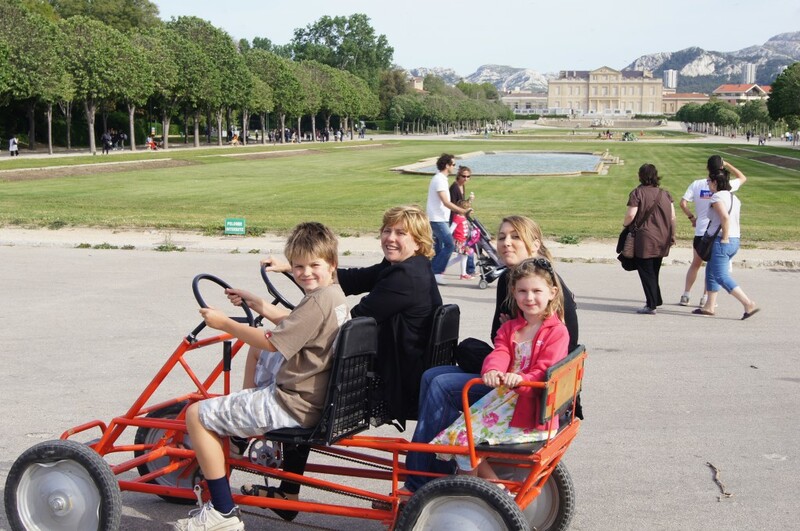 We had not researched what to do in Marseilles. Helénè suggested that we head for the old port which seemed like a good idea. Chris was keen to see the Mediteranean sea up close and this was readily agreed. We found a parking station and started wandering around the port which is pretty much the centre of town. We found a place to have some drinks and then headed around Viuex Port where we found a tourist information office. Having emerged from the tourist information office we planned to do two things. 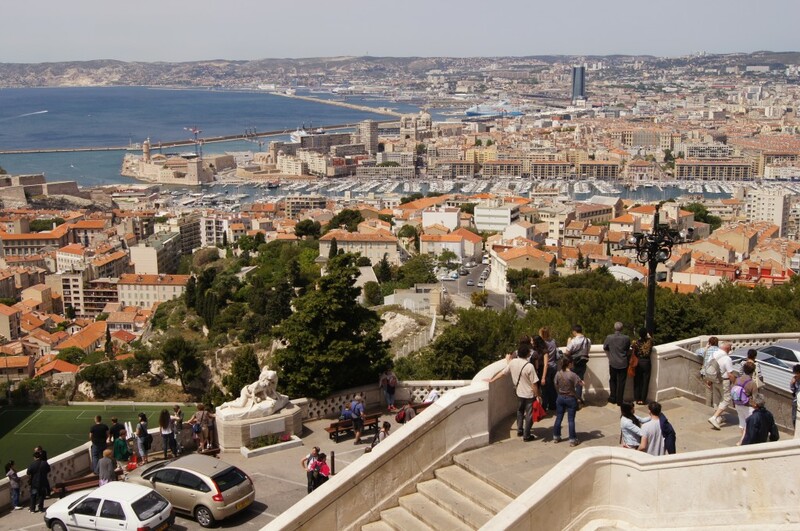 Firstly to take a trolley ride around the city and up to Notre Dame de la Garde, which is Marseilles most impressive church on top of the hill overlooking the port. After the trolley tour we planned to head off to a park where the kids could play in some promised “drive yourself vehicles”. Notre Dame de la Garde is basilica of the Catholic church, it is situated on a limestone peak of 149m, on the walls and foundations of an old fort. The basilica was consecrated on 5 June 1864. 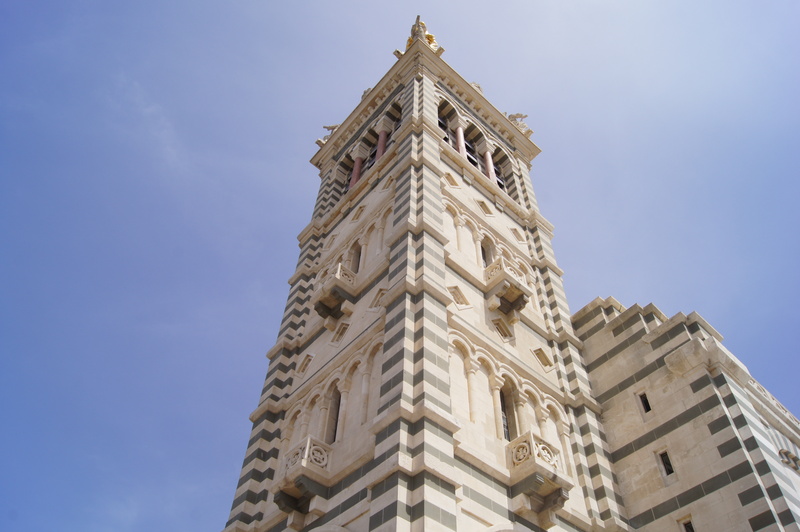 It replaced a church of the same name built in 1214 and reconstructed in the 15th century. 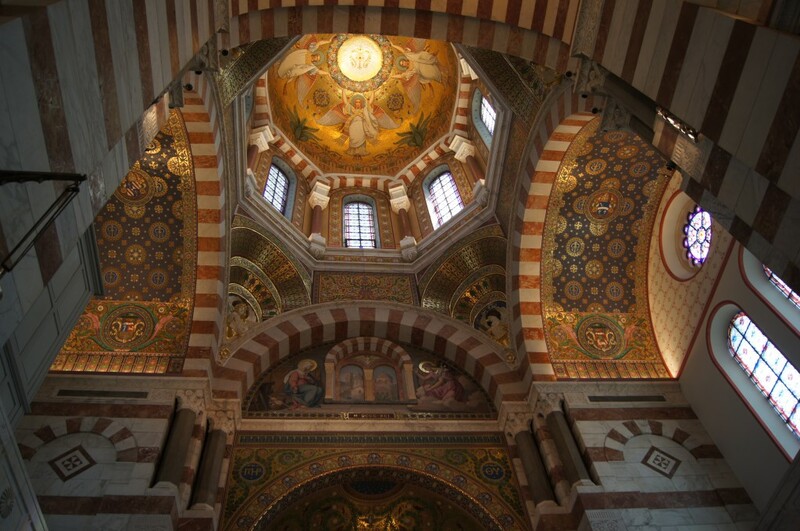 The basilica was built on the foundations of a 16th-century fort constructed by Francis I of France to resist the 1536 siege of the city by the Emperor Charles V.
On the way to the Basilica we had beautiful views of the fortifications around the old port and the islands of the coast of Marseilles including the island of If.